Michael M. Jones has participated in close to 200 trials since joining the firm in 1979. He represents the estates of people killed in automobile collisions and individuals who have been injured at work or in serious wrecks through no fault of their own. 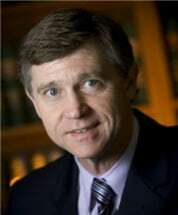 He is a 1979 graduate of the UNC-Chapel Hill School of Law where he served as an editor of the Law Review. Michael M. Jones was recently selected as a member of the NC Academy of Superior Court Mediators. Less than 5% of certified mediators in the state have been so recognized.